Whenever a tenant has moved out without returning the keys, the agent should make every effort to contact the tenants and persuade them to return the keys so that handover can be said to have occurred. This ensures clarity for all parties. Abandoned properties can also arise in a situation where a tenant has either served a Form 13, or has been served with a Form 12, but then they have failed to return keys on the handover date of the relevant notice. In that case the lessor/agent might be left uncertain as to whether the tenant has vacated or not, especially where the tenant is proving to be un-contactable. In this circumstance, the lessor/agent could take the matter to QCAT as an urgent application due to the tenants’ failure to handover, or, follow the process for abandoned properties. Discuss the options with the lessor-client, including the positives and negatives of each, and act on the client’s lawful instructions. If a lessor/agent has reasonable cause to suspect that a property has been abandoned, the RTRA Act allows the opportunity to gain access to the property to check [RTRA Act section 192 (1) (h)]. An RTA Form 9 Entry Notice would be served to the tenant in order to gain access to confirm whether or not the property has been abandoned, allowing 24 hours notice prior to entering the property. In part 5 of the Form 9, tick the ninth box which says ‘The lessor believes, on reasonable grounds, that the property have been abandoned’. The notice would be served to the tenant in accordance with the Form 18a General Tenancy Agreement, as per standard term 44, and item 4.2 of the schedule in relation to whether email consent has been established. An agent might decide to hand deliver it to the premises, and email it, to increase the chance of the tenant receiving it. The tenant might contact the agent during the 24 hours notice, advising that they have received the Form 9 and have not abandoned the premises. If this is the case, then the agent has the opportunity to discuss their reasons for suspecting the property had been abandoned with the tenant and to resolve those outstanding issues. However, if the agent received no response, they would then access the property as per the Form 9, using the agency keys. 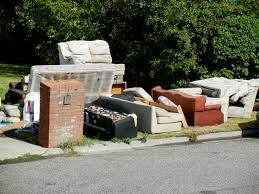 Whilst at the property, the agent would document any evidence that indicates the property has been abandoned. The agent would also take any reasonable actions to ensure the lessor’s property was not at risk of imminent or further damage – such as closing windows that have been left open and could allow rain to water damage carpets, and locking unsecured doors that leave the property vulnerable to unauthorised entry being gained by third parties. completed RTA Form 15 and leave it in the letterbox as they leave the property. If the tenant does not take action to object to the notice by applying to QCAT within 7 days, the tenant is taken to have abandoned the premises and the lessor/agent can then take possession of the property. Alternatively, after looking through the property, the agent might still not be entirely certain whether the tenant has actually abandoned the property. If so, the lessor/agent would (instead of serving the RTA Form 15) make an urgent application to QCAT under Section 357 of the RTRA Act, seeking an order to terminate the tenancy. Once the tenancy has been terminated at the expiry of the Form 15, the lessor/agent can change the locks, prepare the property for reletting, and commence the reletting process. A claim can be made against the bond in the usual way by sending an RTA Form 4 to the RTA The RTA would not be able to process the Form 4 before the Form 15 has ended. Any goods and documents left behind in the premises must be handled as per the provisions of the RTRA Act for abandoned goods. expenses incurred. A tenant has 28 days to make a compensation claim. Both lessor/agent and tenant are required to take all reasonable steps to mitigate loss or expense for the other party, and cannot claim compensation where the loss or expense being claimed could have actually been reasonably avoided.